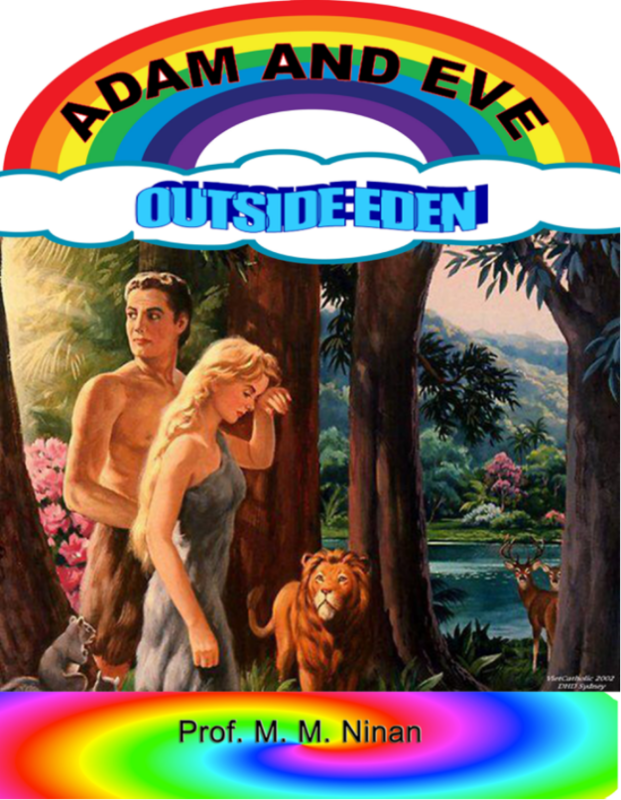 CHAPTER TWO: THE WORLD OUTSIDE OF EDEN. This is a continuation of my studies in genesis in which I study what happened to Adam and Eve after they have been thrown out of Eden because they did not obey the one commandment as children given by God the Father. Thus in order that they may not remain as eternal demons with a selfish nature, God send them out clothed in skin and to live of their own using their brains and learning to live. Since outside of Eden, the law of entropy was the default law, they are no susceptible to death. God had his plan of redemption without violating the freedom of any of his children. Until all creation is redeemed, since creation is always part of God himself with whole universe within God as the only reality is God, God himself will be in torment and pain. Yet that is what having children mean - even on earth. Adam carried the selfish ego DNA as a Son of God went out into the world outside of Eden, with the only profession he knew as an Agriculturalist. The rest of the earth was filled with hunter gatherers and nomads. Thus started the conflict. An egocentric farmer with their settled life opposed to the tribal centered nomads. Adam's eldest son turned into a farmer and his younger son turned into a nomadic cattle breeder. In their conflict Cain the eldest killed Abel the younger. God turned out Cain who had to become the nomad in the country of Nod. Instead of Cain another son was born to Adam - Seth who became the new starting point of earthian life of Adamsons. The long life time of 1000 years was too long and the earth was populated heavily and "every imagination of man became evil. YHVH had no other option than to restart his earthly children. To make matters worse, the Sons of God instead remaining within the heavenly realms came down and started to marry human women producing giants. God thus terminated all life on earth with a flood that covered the whole earth, keeping Noah's family and a few other life forms to start the earth with the new humans having a shorter life time of around 100 years. Thus all the humans today are the descendants of Noah. They still carry the fallen DNA of Adam and the DNA of the alien Sons of God.